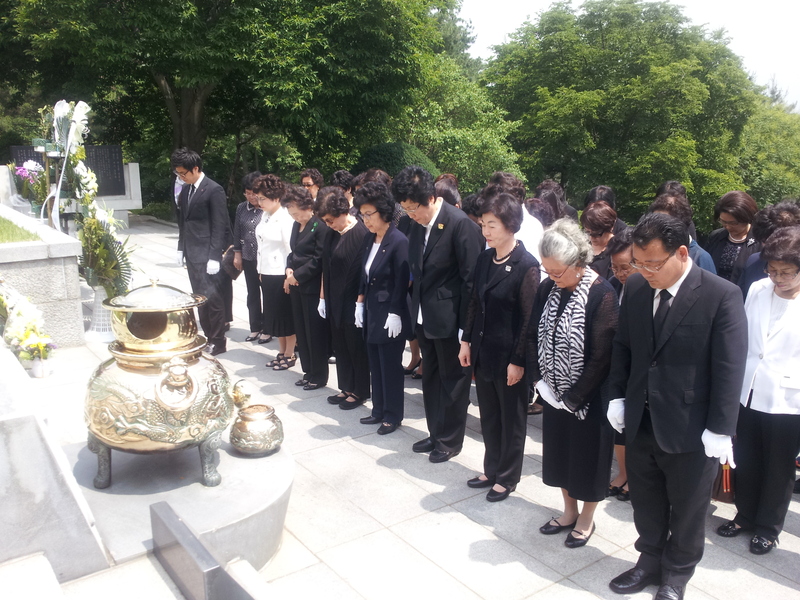 About 60 President’s team and officers of the Korean National Council of Women visited Seoul National Cemetery on June 9 and paid respects. Paying respects at the National Cemetery was carried out to remember the lofty spirit of protecting the nation by those who sacrificed for the nation in the month of protecting the nation and rewarding the veterans and to love and care for the nation so that their sacrifice has not been in vain. 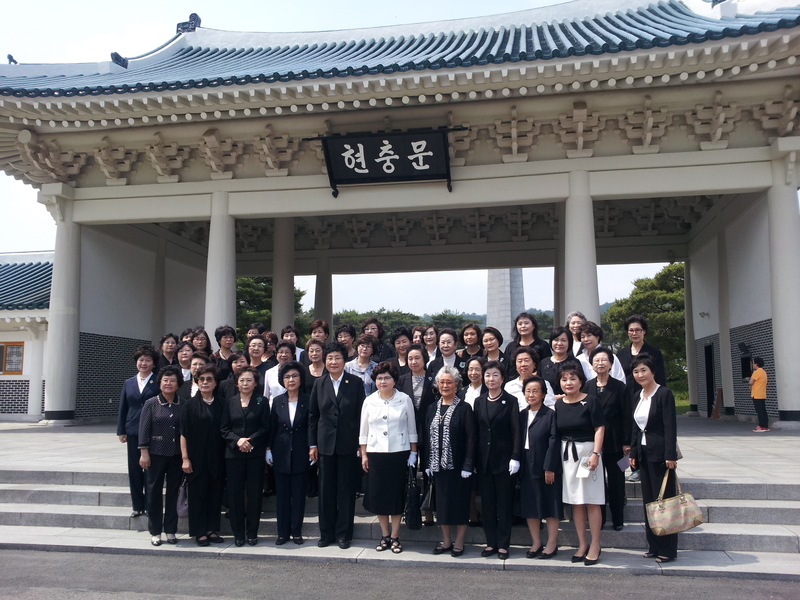 About 60 leaders of member organizations of the Korean National Council of Women including Chairwoman Min, Kyung-ja of Unification and Security Committee and President Kim, Jung-sook dropped by at the Memorial Tower first to offer flowers and incense, and paid respects to the tombs of Presidents Lee, Seung-man, Park, Jung-hee and Kim, Dae-jung.